In 1965, a young typesetter named Stan Bevington, newly transplanted to Toronto from Edmonton, began printing versions of the new Canadian maple-leaf flag. With the money he made hawking these flags in hippie Yorkville, he rented an old coach house and bought a Challenge Gordon platen press. With a newfound colleague, Dennis Reid (now a curator of the Art Gallery of Ontario), he printed a book of poetry by Wayne Clifford. Writers and artists soon flocked to the little coach house with their projects, bpNichol’s Journeying and The Returns and Michael Ondaatje’s The Dainty Monsters among them. 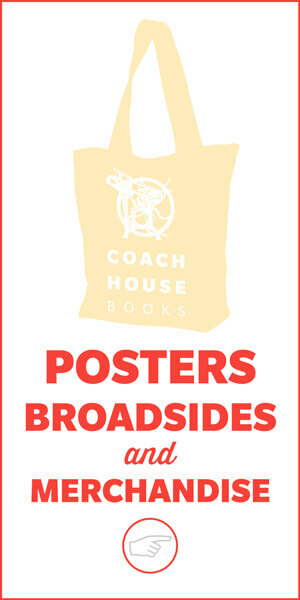 Coach House has always maintained a dual role in Canadian letters by both publishing and printing books. Through the years, the printing half of the company has produced books and ephemera for many of Canada’s literary presses and for the University of Toronto, setting new standards for design and printing quality. This emphasis on careful and innovative production enticed many of Canadian literature’s now-luminary figures to join the Coach House crew; in the 1970s and ’80s, the editorial board included, at various times, Victor Coleman, Frank Davey, Linda Davey, bpNichol, Michael Ondaatje, Sarah Sheard and David Young, and the roster of writers grew to include Robin Blaser, George Bowering, Nicole Brossard, Matt Cohen, Christopher Dewdney, David Donnell, Dorothy Livesay, Gwendolyn MacEwen, Daphne Marlatt, Steve McCaffery, David McFadden, Don McKay, Paul Quarrington, Gail Scott, Sharon Thesen, Sheila Watson, Phyllis Webb and countless others. The press was known for its adventurousness in both content and presentation. A move and a change of ownership and management in the late 1980s brought a new, if short-lived, direction. Editors including Lynn Crosbie, Christopher Dewdney and Michael Redhill, under the stewardship of Margaret McClintock, published books by André Alexis, Ann-Marie MacDonald and Anne Michaels. In 1996, sadly, government funding cuts decimated the viability of the company, and it wound down. 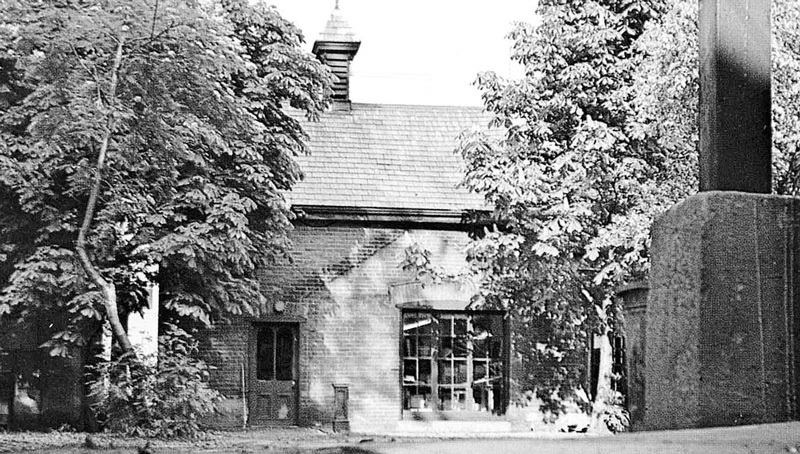 In 1997, Stan Bevington resurrected Coach House, back in its original home in the old coach house, where the printing business was still hard at work. Helmed by Hilary Clark and Victor Coleman, the new Coach House boldly ventured online, publishing electronic editions and luscious print versions, archly referring to the physical copy as ‘that fetish object formerly known as the book.’ Darren Wershler-Henry took over as editor, and then Alana Wilcox, and, as the internet and the publishing climate changed, the emphasis shifted to print books. And now? We’re still pushing at the frontiers of the book with our innovative fiction, poetry, film and drama, and select non-fiction, including a series of books about Toronto. Our family of fine scriveners includes André Alexis, Christian Bök, Claudia Dey, Guy Maddin, Maggie Helwig and Darren O’Donnell, among countless others. We’ve been piling up the awards nominations: Scotiabank Giller Prizes, Griffin Poetry Prizes, Governor General’s Awards, Trillium Book Awards, Toronto Book Awards, ReLit Awards, Lambda Literary Awards, Amazon First Novel Awards, Libris Awards, the Ontario Premier’s Award for Excellence in the Arts and so on. And in 2009, we finally had the opportunity to purchase our little coach house. Home sweet House! In the last couple years we’ve also celebrated our fiftieth anniversary and a Scotiabank Giller Prize. Publisher Stan Bevington was the founder and the original publisher of The Coach House Press in 1965. He is also the sole proprietor of Coach House Printing Ltd, a printer of fine books for the book trade since 1965. He has won numerous awards for design and is a pioneer in the use of computer technology in the realms of design, publishing and printing. Editorial director Alana Wilcox is responsible for acquisitions and editing, as well as overseeing day-to-day operations. She is the author of A Grammar of Endings (The Mercury Press, 2000). Sales and marketing coordinator Ricky Lima is in charge of all the little tasks that combine to be big tasks. He self publishes comic books which instantly makes him an ok guy. He has not won any awards (which he's fine with) but is in running contention for best hugs. Managing editor Crystal Sikma worked at a small press (Bellevue Literary Press) and a big literary agency (Writers House) in New York before landing at the perfectly sized coach house. Designer Rick/Simon has been with Coach House Press/Printing, off and on, since 1967. He is an associate with a few art collectives, creating video and print design with VideoCabaret; costume design, percussion and stilt dancing with Shadowland on the Toronto Islands; and production design and performance with Caliloo Company in Trinidad & Tobago and Art Acts in Cleveland, Ohio. Exploded Views editor Emily M. Keeler is the founding editor of Little Brother, an award-winning literary magazine, and is formerly the books editor of Canada's National Post.